Photograph courtesy of Mrs Jim Axtell of Halfway. Dated 1964. Any information please. The gentleman directly beneath the Courtlands sign on the middle row, unless I`m mistaken is Jim Axtell. 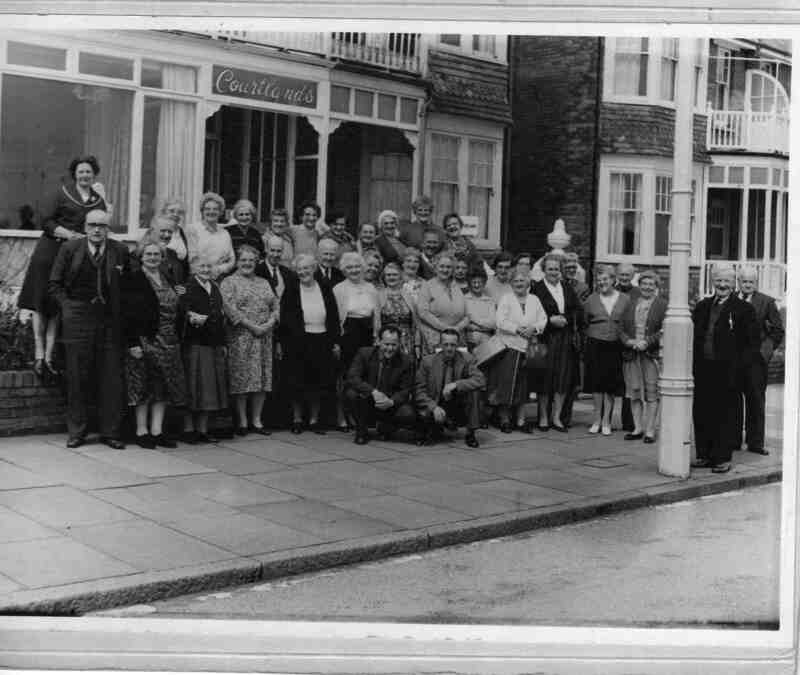 The lady on the far right back row is Mrs Elsie Spencer. Lived in New Street, Halfway, then moved to Mosborough. The lady second from left on the back row with glasses on is my grandma Mrs Mary Senior. And the two gentlemen knelt in front the one on the right is my uncle and Mrs Senior`s son Herbert senior. both lived in Halfway.